What you need to know when buying or refinancing a home loan about your credit. Your credit rating and credit score affect your ability to qualify for the best rates on services, insurance and especially, home loans. Personal credit ratings and scores have also become a qualifying gauge for employers, especially those who seek to place employees in a position of management or financial responsibility. The credit scoring system used today was originally designed in the 1950s to help lenders determine how well consumers could pay back borrowed money. The lender's biggest concern was whether or not an individual had the ability to repay a loan in a timely manner. Congress passed the Fair Credit Reporting Act in 1971 to establish guidelines for fair practices regarding the use of credit scoring. This law was designed to promote accuracy in reporting and protect the privacy of consumers. In light of the increased use of credit scoring and a growing fear of identity theft, recent legislation has been passed to further protect Americans and improve consumer awareness. The credit scoring model seeks to quantify a consumer's ability to pay off debt on time. 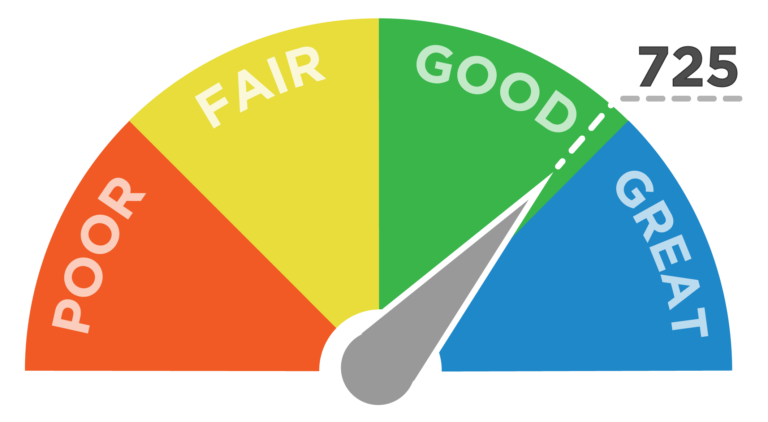 Credit scores have many different ranges, however, the score that is used by 90 percent of lenders and creditors in this country is the FICO score, which ranges between 300 to 850. The higher the score, the better for the consumer. A high credit score translates into a low interest rate, which can save a consumer thousands of dollars in financing fees over the life of the loan. ​PAYMENT HISTORY - 35% IMPACT Paying debt on time and in full has the greatest positive impact on your credit score. Late payments, judgments and charge-offs all have a negative impact. Missing a high payment will have a more severe impact than missing a low payment, and delinquencies that have occurred in the last two years carry more weight than older items. OUTSTANDING CREDIT BALANCES - 30% IMPACT This factor marks the ratio between the outstanding balance and available credit. Ideally, the consumer should make an effort to keep balances as close to zero as possible, and definitely below 30% of the available credit limit when trying to purchase a home. CREDIT HISTORY - 15% IMPACT This portion of the credit score indicates the length of time since a particular credit line was established. A seasoned borrower will always be stronger in this area. TYPE OF CREDIT - 10% IMPACT A mix of auto loans, credit cards and mortgages is more positive than a concentration of debt from credit cards only. INQUIRIES - 10% IMPACT This percentage of the credit score quantifies the number of inquiries made on a consumer's credit within a six-month period. Each hard inquiry can cost from two to 25 points on a credit score, but the maximum number of inquiries that will reduce the score is ten. In other words, 11 or more inquiries within a six-month period will have no further impact on the borrower's credit score. Note that if you run a credit report on yourself, it will have no effect on your score. ​Remember that the credit score is a computerized calculation. Personal factors are not taken into consideration when a credit report is generated. It is merely a snapshot of today's credit profile for any given borrower, and it can fluctuate dramatically within the course of a week. How Does a Low Score Affect My Interest Rate? Lenders estimate your ability to pay back money based on your credit score. The risk factor they take on is built-in to your interest rate as a finanacing fee. Therefore, a low credit score results in a higher interest rate, higher monthly fees, and a higher amount of interest being paid over the total life of the loan. A borrower with a credit score of 620 would be questionable to an underwriter. While the lender may agree to provide financing, the increased interest rate is factored into the monthly payment. The following chart illustrates the difference in the amount of interest paid over the life of the same loan with three different credit score scenarios. A borrower who increases his or her credit score from 620 to 720+ can potentially save $601 per month on mortgage payments, $7,214 per year, and approximately $216,432 over the life of the 30-year loan. How Does An Underwriter View My Score? If you are considering a home purchase, it is in your best interest to make every effort to increase your credit score, especially if you know you have issues you should be dealing with. It is often the case that people are not aware of bad marks on their credit record until they apply for financing for a major purchase, such as a home. As part of the loan process, we run a credit report for you. But you can take advantage of the opportunity to get a free credit report from each of the three main CRAs: Equifax, ExperianÂ® and TransUnion®. As a sidebar, you can choose to get the free report from all three bureaus at the same time, so you are aware of what information each bureau has collected. Another option is to pull your credit report from one agency, and reserve the right to get your free reports from the other two CRAs as you work on improving your credit standing. We believe it is best to have the full overview up front. Different CRAs have different methods of calculating these scores, and may also have different information contained within their findings. Consider the adage, "Why jump over nickels to pick up pennies?" If additional reports are needed within a 12-month period from any of the three CRAs, the cost is extremely minimal compared to the potential savings that can be realized by an improved credit score, and if you run a credit report on yourself it will not affect your own score as an inquiry. ​The underwriter who is making the decision as to whether or not you should get the loan you are asking for will generally look at the scores generated from all three CRAs. Typically, the score will not be the same from all three reports, and the underwriter will consider the middle score as a barometer. Disputing Errors on Credit Reports? SOURCE: U.S. Public Interest Group Research; One In Four Credit Reports Contains Errors Serious Enough To Wreak Havoc For Consumers, US PIRG Press release, 06/17/04 http://uspirg.org/uspirgnewsroom.asp?id2=13650&id3=USPIRGnewsroom If you find that you have errors on your credit report, follow this procedure to correct those errors. Prepare a letter to the CRA that provided you with the report in question, and request to have the erroneous item(s) removed. If you have proof of payment for an item in question, include a copy of that documentation. You should receive a response from the CRA within 30 to 45 days. If the error has been corrected, they will send you a fresh copy of your credit report at no charge to show you that the item has been removed. They will also send a corrected report to any entity that received a report that contained errors within the last six months. If you cannot have a disputed item removed, you have the right to include your side of the story on the credit report. Your statement should be a concise explanation (100 words or less) as to why you are challenging the item in question. From that point on, this notation will be included in your credit report as long as the item in question remains on your report. A borrower will sometimes not have enough credit references to obtain the loan they wish to secure. In this case, start by opening small lines of credit that report to one of the three major CRAs, and make purchases that can be paid off easily. If you do not already have a checking or savings account, open one. Your bank or credit union may be able to provide you with a credit card account once you have established a history with them as a customer. It is also wise to start saving money for the down payment on your home. The lender will look at your application more favorably when you are able to come to the table with a 20% down payment. Bear in mind, there are certain loan programs available that permit a percentage of gift money for down payment, which can come from a relative, or even the person selling the home. Unfortunately, a person with a bad credit score is often in this position because he or she lacks the discipline to pay bills on time. Of course, there are exceptions where unforeseen circumstances come into play, such as health complications, or loss of employment. There are a few things that may be able to bring your score up so that you can secure a better interest rate on your mortgage loan. Example 2: Transfer outstanding balances to new accounts. Our borrower, Mr. Smith, has only two credit cards, but both are pushing the limit of available credit. Mr. Smith opens two new credit card accounts, each with a credit limit of $5,000. He transfers part of his existing balances to the new accounts. While he has acquired two new cards that have no established history, the greater impact is the change in the ratio of debt to available credit. ​Ultimately, experts say that it is best to have three to five credit cards, and no more than that. You should keep your balances as low as possible. If you have a credit account with a zero balance, do not close the account. Instead, make a small purchase so the card shows up as an active account on your credit report, and you will be awarded points for your long-term credit history. These are just a few tips to consider as you seek to obtain mortgage financing. But you should always know that as your loan originator, my job is just beginning when you close your loan with me. As soon as you begin to make mortgage payments on time and in full, your credit standing will begin to improve. My team and I will continue to monitor rates on your behalf and alert you to the opportunity to refinance into a loan program with a lower interest rate as soon as possible. Our long-term goal is to help you build a strong financial future. When you fill out a credit application, we run a credit report for the underwriter. Each lender and each loan program has different guidelines they must follow. You should not do anything that will have an adverse effect on your credit score while your loan is in process. We know it's tempting...If you're moving into a new home, you might be thinking about purchasing new appliances or furniture, but this is really not the right time to go shopping with your credit cards. You'll want to remain in a stable position until the loan closes and give us the opportunity to help you lock in the best interest rate we can possibly get for you. DON'T APPLY FOR NEW CREDIT OF ANY KIND - If you receive invitations to apply for new lines of credit, don't respond. If you do, that company will pull your credit report and this will have an adverse effect on your credit score. Likewise, don't establish new lines of credit for furniture, appliances, computers, etc. DON'T PAY OFF COLLECTIONS OR CHARGE-OFFS - Once your loan application has been submitted, don't pay off collections unless the lender specifically asks you to in order to secure the loan. Generally, paying off old collections causes a drop in the credit score. The lender is only looking at the last two years of activity. DON'T CLOSE CREDIT CARD ACCOUNTS - If you close a credit card account, it can affect your ratio of debt to available credit which has a 30% impact on your credit score. If you really want to close an account, do it after you close your mortgage loan. DON'T MAX OUT OR OVER CHARGE EXISTING CREDIT CARDS - Running up your credit cards is the fastest way to bring your score down, and it could drop up to 100 points overnight. Once you are engaged in the loan process, try to keep your credit cards below 30% of the available credit limit. DON'T CONSOLIDATE DEBT TO ONE OR TWO CARDS - Once again, we don't want you to change your ratio of debt to available credit. Likewise, you want to keep beneficial credit history on the books. DON'T RAISE RED FLAGS TO THE UNDERWRITER - Don't co-sign on another person's loan, or change your name and address. The less activity that occurs while your loan is in process, the better it is for you. ​DO JOIN A CREDIT WATCH PROGRAM - Your bank, credit union or credit card company may be able to provide you with a free credit watch program that can alert you to any changes in your credit report. This can be a safeguard to help you intervene before the underwriter sees a problem. DO STAY CURRENT ON EXISTING ACCOUNTS - Late payments on your existing mortgage, car payment, or anything else that can be reported to a CRA can cost you dearly. One 30-day late payment can cost anywhere from 30 to 75 points on your credit score. DO CONTINUE TO USE YOUR CREDIT AS YOU NORMALLY WOULD - Red flags are easily raised within the scoring system. If it appears you are diverting from your normal spending patterns, it could cause your score to go down. For example, if you've had a monthly service for Internet access billed to the same credit card for the past three years, there's really no reason to drop it now. Again, make your changes after the loan funds. DO CALL YOUR LOAN CONSULTANT - If you receive notification from a collection agency or creditor that could potentially have an adverse effect on your credit score, call us so we can try to direct you to the right resources and prevent any derogatory reporting to credit bureaus. If you feel you would prefer to work with a credit repair service rather than try to tackle credit repair issues on your own, please give us a call so we can help you sort through your options. We will do our best to refer you to a reputable credit remediation service and guide you in the right direction once we have the opportunity to review your credit report with you. The Federal Trade Commission (FTC) regulates credit repair services and provides free information to help consumers spot, stop and avoid doing business with credit repair companies that are not reputable. Their web site is located at http://www.ftc.gov.